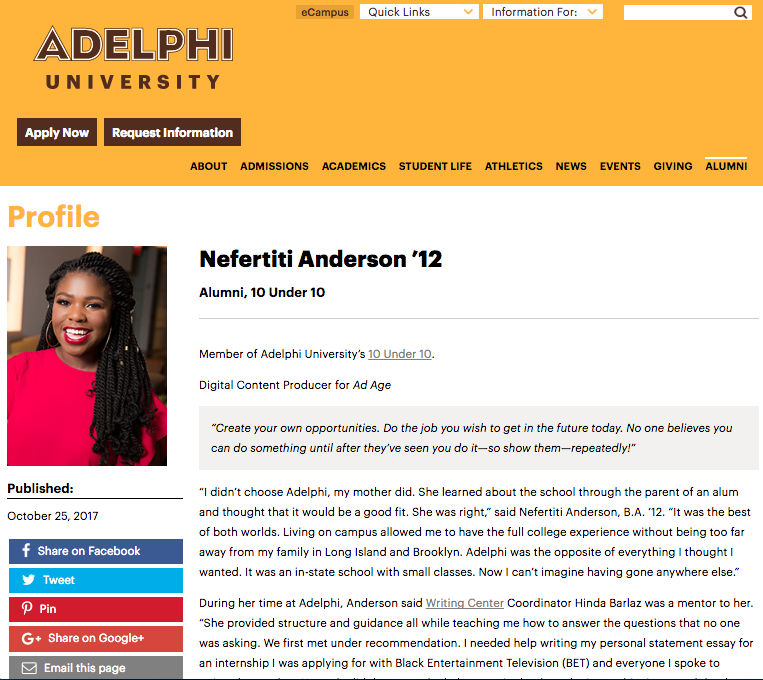 Nefertiti “Neffy” Anderson is a media correspondent, video producer, and social media strategist who helps entrepreneurs and brands achieve their business goals through multimedia storytelling. Her ability to meet the needs of various target audiences stems from her training in Beijing, Hong Kong, Shanghai, and Shenzhen. Throughout her career at Black Entertainment Television (BET) Neffy interviewed some of your favorite celebrities such as Nick Cannon, K. Michelle, Ciara, Kandi Burress, August Alsina, Diggy Simmons, Keyshia Cole and Nelly to name a few. 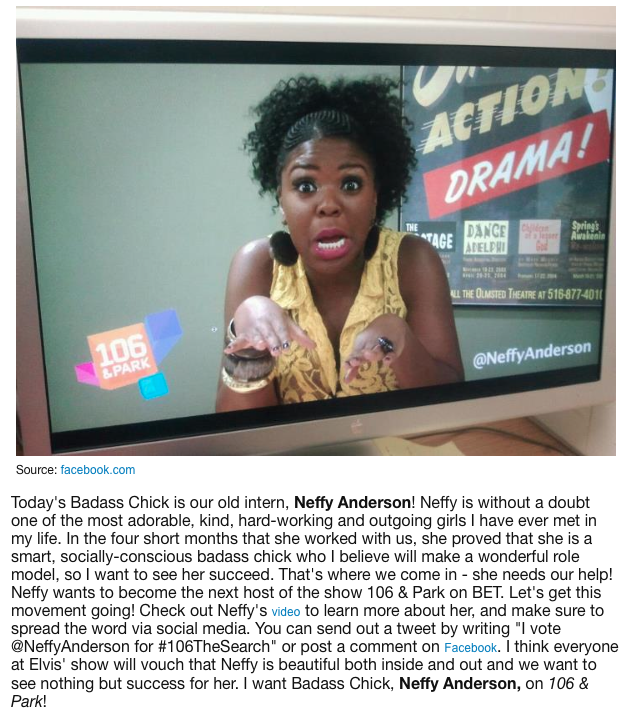 As the network’s social media strategist, Neffy spearheaded the digital campaigns for tier 1 shows and specials such as the BET Awards, 106 & Park and Black Girls Rock. With 6 years of professional experience spanning television, digital, print, and radio, Neffy balances a career both in front and behind the camera as the creator, producer, and host of her very own show, The Path Less Traveled Series, an inspiring web series that spotlights millennial entrepreneurs. Named as one of Innov8tiv Magazine’s “Top 100 Women Visionary Leaders to Watch,” Neffy has been recognized for her work by national outlets such as the American Marketing Association, Z100’s Elvis Duran Morning Show, Blavity, Mediabistro and more. Neffy’s global reach and ability to remain relevant in a changing world has allowed her to work with clients such as Adelphi University, Mediabistro and The Jasmine Brand. Neffy holds a Bachelor’s degree in communications from Adelphi University. She lives, works and plays in New York -- devoting much of her time as a mentor, public speaker and coach. Stay in touch with Neffy everywhere on social media @neffyanderson.